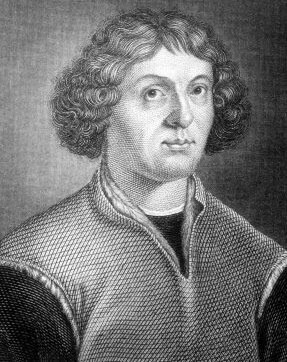 Nicolaus Copernicus was a mathematician and astronomer who proposed that the sun was stationary in the center of the universe and the earth revolved around it. He was born on February 19, 1473, in Torun city of Poland in Europe. His was the son of Copernide and Barbara. Nicolaus was the youngest among two sons and two daughters. Torun was a big and prosperous trade centre at the time of the birth of this great scientist. His father was a scholarly magistrate of the city. Besides, he was a rich, cultured, distinguished social worker and a well-wisher of society. When Nicolaus was 10 years old, his father died. The children were then put under the care of their uncle Lucas. His uncle was a priest and educationist. He was a respected figure in society. It was but natural for the children to be brought in a cultured and religious environment. Young Nicolaus had made up his mind to become a preacher and accordingly focused his energies in this direction. At the age of 18, Copernicus joined the Cracow University in Poland’s capital Cracow. It was a well-known institute at that time with some of the best teachers in the land. A highly reputed institute, it attracted intelligent students from as far as Germany, Hungary, Italy, and Switzerland who came here to study. Latin was prominent and important medium of instruction. To have a better understanding of literature, science and other subjects, it was essential to know Latin. After joining the university, Copernicus too gained proficiency in Latin. He then started taking deep interest in astronomy, geometry (mathematics) and geography besides other important areas of study then. It was a time when Columbus was successful in discovering the new continent of America. Copernicus was 10 Years old then. With time, sea voyages were on the rise and with bigger ships and increasing sea travel, more emphasis was laid on astronomy. The need for accurate almanacs was felt, for festivals were celebrated according to the dictates of the church. Such was the state of society during that period. Copernicus education took a different turn. In 1496, after leaving Cracow University, he joined Bologna School of law in Itlay. From here he moved to the famous Padua University where he studied medicine during 1501-1505. Thereafter, he took his Doctor of Canon Law degree from Ferara Univesity and he arrived at his uncle’s place in Poland. Discussions and deliberations with his uncle who was a priest led to the conclusion that his doctorate would be useful in taking up religious work. It was believed then that medicine and astrology were closely related. Once again Nicolaus went to Padua University and joined the School of Medicine. The famous astronomer and mathematician-scientist Ptolemy (90 AD to 168 AD) was born in Alexandria, Egypt. In the second century it was a big port city, besides being the cultural capital. To enhance their knowledge, intellectuals and thinkers from the country and abroad visited its well-stacked libraries and imposing museums in this city. Greek scholar Ptolemy, too visited this city many a time for his study. In 150 AD, Ptolemy had made some important observations regarding the motion of celestial bodies. Though he did not entirely understand many peculiarities of these heavenly bodies, he believed in what he saw and accepted the prevailing belief that the earth is stationery and the entire universe revolves around it. Therefore, he believed in the seeming truth that the Sun rises in the East and sets in the West. Four centuries before Ptolemy, another Greek philosopher and astrologer had come to conclusion that the Sun was centre of the universe, but puritans did not heed to his conclusions and he was criticized. Ptolemy was influenced by popular belief. Accepting the geocentric (having the earth as centre) theory of the universe, Ptolemy based his calculations on it in his volume ‘The Great Treatise of Astronomy’, better known as ‘Almegaste’. Hence certain flaws appear in his calculations. In Greek, ‘Planet means’ something that wanders on its own’. It had become an acceptable fact with philosophers, religious teachers and scientists, propagating the belief that the earth was stationary and the sun and other planets revolved around the earth. Ptolemy, the great scholar tried to explain the planetary motions and their positions, of which only some were true. Regarding the wrong calculations he had made, he justified them by calling them wandering celestial bodies. Poland’s famous scientist Copernicus was able to understand the complex planetary motions of these celestial bodies, but for this he had assumed that the Sun was at the centre of the universe. It was by now clear that Sun and other planets revolved in orbits. During one such revolution, a celestial body in radial motion moves 360 degree. This circle is divided into 12 parts each of 30 degree. These are known as the Zodiac signs. Today we know that the Sun moves from one Zodiac sign to another, every month. Thus, in one year, the earth completes one revolution around the Sun. It was also believed then that there was an unknown link between the planets, Zodiac signs and the various organs of the body. On this basis and taking into account the birth time, astrologers draw the life chart of a person. Today too, people pay a lot of money to astrologers to know their future. In ancient India, Aryabhatt, Varahmihir, Brahmgupt, Bhaskaracharya and other astronomers were popular as astrologers. 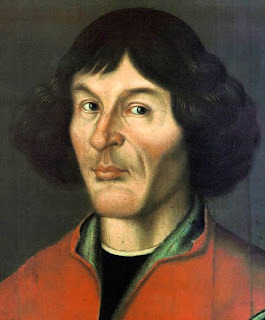 During his learning years, Copernicus got a job as a junior priest in a church. Thus he received knowledge of science, religion and philosophy. Besides, he had studied law, which gave him a deep insight into the laws governing the church. Add to this his knowledge of Greek and Latin, and he was a well-versed scholar at the age of 33. He returned to Poland to serve his ailing uncle. Here his leisure hours were spent in independent study. This gave him a new insight into the universe and a scientific approach also. Initially, he accepted the ancient Greek and Arab calculations as they were. He had no appropriate instruments, but his was a thinking mind that worked wonders. On the basis of mathematics and philosophy he visualized the universe as a divine arrangement and made some observations. But all these remained in his notebooks. This is precisely what took him to the peak of his popularity. In 1539, a 25-year-old German student named Georg Rheticus came to him. This bright young man impressed Copernicus. At 28, he joined Wittenberg University as professor. For two years Rheticus made a deep study of Copernicus’ notes and calculations. 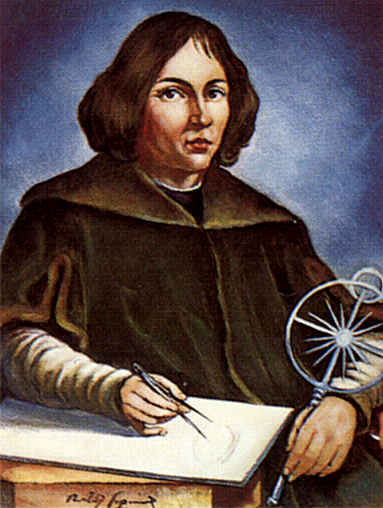 He came to the conclusion that Copernicus’ observations were very noteworthy and needed to be published. Taking into account the motions of planets Copernicus had classified them. He had clearly stated that the Sun is at the centre of the universe and all planets including the earth revolve around it. He had developed a theory based on it. Taking all these theories into account along with his theories, he wrote a treatise. But fearing a religious backlash due to Ptolemy’s widespread influence at that time, he did not get it published. In 1543, with Copernicus falling ill, Georg Rheticus and his other friends took his permission to get his treatise printed and took it to Germany. The book was named De revolutionibus orbium coelestium (The revolution of the heavenly spheres). The credit for getting Copernicus’ notes printed in book form goes to Rheticus to an extent. When the printed book reached Copernicus, he was on his deathbed. He was in no condition to pass judgement or appreciate it. His heart had gone weak and his brain almost dead. He died on 24 May 1543. Many rank this book along with Newton’s Principia. It sowed the seeds for discarding Ptolemy’s famous theory. Old and superstitions beliefs were given a burial and the path to the development of modern astronomy was thus laid. Fourteen centuries after Ptolemy had propounded his geocentric theory, Copernicus had presented his helio-centric theory. The stamp of religion was paramount at that time and no one dared oppose it. With Copernicus theory it was the dawn of a new era. Nice Post !! Astrology and life both are connect to each other. Astrology is best way for solve future problems.